Browse Business Spotlight for more articles like this. Since his childhood, David Joseph “D.J.” Salinas III dreamed of becoming a professional baseball player. “I never imagined that, instead, I would become part-owner of an auto detailing and tint company by age 21,” Salinas said. Yet it was his love of baseball that eventually gave birth to the family business. 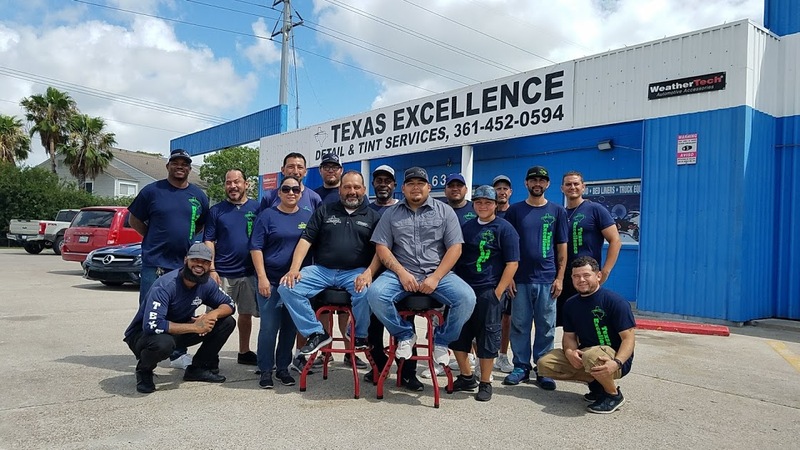 According to his father, David Salinas Jr., owner of Texas Excellence Detail and Tint Services, the idea sprang from the desire to teach his son responsibility. The father-and-son duo began detailing cars as a side job, cleaning for friends and family to earn money for D.J.’s baseball passion. At age 12, D.J. was already learning skills that would later transform his future. For father David, what started as a way to teach his son, grew into something more. In 2014, the family decided they could branch out and began catering to the public. Starting a family business is not without its challenges. 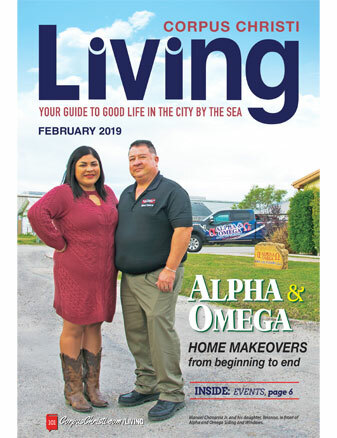 The Salinas family not only had to invest personal time, they had to find good workers and come up with ways to stand apart from the competition. From humble beginnings at a small private warehouse in Flour Bluff, the family moved operations to Corpus Christi on Crescent Drive. After outgrowing that space, the company relocated once again. Texas Excellence Detail and Tint Services now has two locations: its home base on South Padre Island Drive between Nile Drive and Airline Road and a downtown location at 606 N. Carancahua St.
What started as a two-person operation has now grown to include 30. For David Salinas, having a hardworking, dedicated staff is one secret to success. The sense of family and teamwork also creates a warm, happy atmosphere, according to D.J. Choosing the name Texas Excellence evokes a standard of quality that customers can expect from the services provided, David Salinas said. While dad takes care of marketing, administration, acquiring new business, and social media, son D.J. manages operations and employee schedules. Through Instagram, Snapchat, and other social media, the company runs monthly promotions. “This month, we are giving up to 50 percent off on window tints and auto detailing packages,” D.J. said. This year, the company expanded to add retail products sales to its business. As for son D.J., though his dream of becoming a professional baseball player did not come true, he got something even better in return. As for the future, David Salinas hopes to open more locations in Corpus Christi — and beyond. • 606 N. Carancahua St.
For more information, contact (361) 452-0594 orTexasDetail361@gmail.com. Or visit www.texasexcellence.com. You can find them on Facebook at TexasExcellenceDetail.